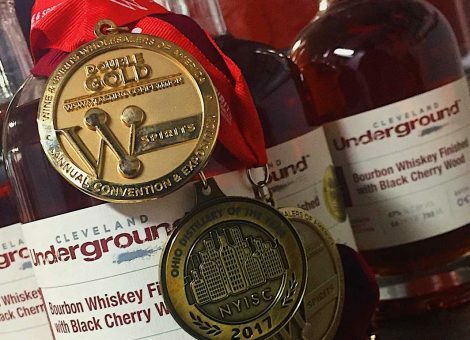 Named “Whiskey Distillery Innovator of the Year,” Cleveland Whiskey has won more than 60 medals at competitions around the world including twenty-two gold and double gold awards. Our process allows us to create unique finishes with woods that include black cherry and apple, limited runs of coffee infusions plus local craft beer and maple syrup barrel aged bourbons. This is Cleveland Underground. We use truly transformative woods and innovative technology to create a line of revolutionary new flavors that push the boundaries of traditional whiskey. 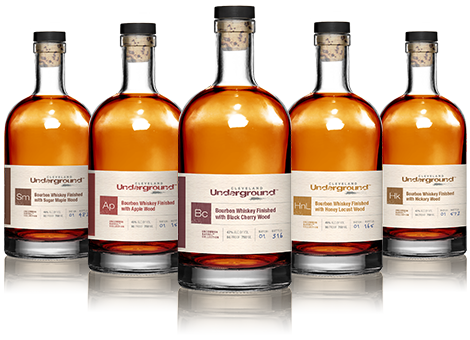 The current Cleveland Underground line includes bourbon whiskey finished with: Sugar Maple Wood, Apple Wood, Black Cherry Wood, Honey Locust Wood, and Hickory Wood. This is not your typical bourbon.